The Tufdek™ story started over 30 years ago when ownership of a local sundeck renovation company became unsatisfied with the quality and durability of the waterproof vinyl decking products available on the market. Tuff industries assembled a talented and dedicated team of employees and manufacturing partners to create something special, something that was not only durable but looked great, Tufdek Waterproof Vinyl Decking! Tufdek has since become the industry standard for quality vinyl deck waterproofing. Our Tufdek Dealers install thousands of Vinyl Deck systems throughout North America on projects for Architects, Engineers, Builders and Homeowners alike. The Tufdek story goes beyond the quality our vinyl decking system and includes the dedication of our Dealer Network. A major key in the success of Tufdek is its exclusive availability through our ever-growing team of professional Dealers who offer Tufdek to their customers. 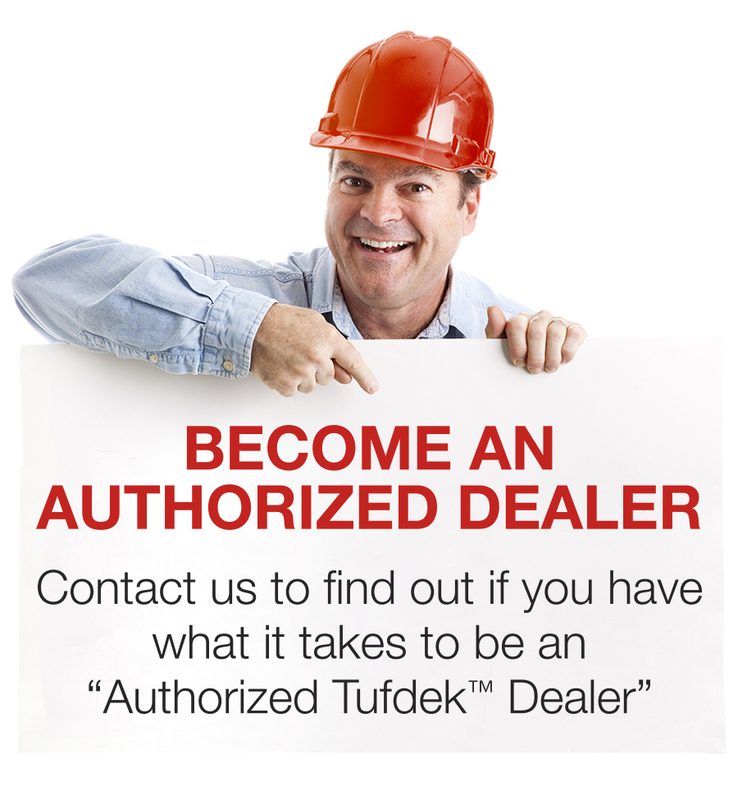 Come join our Tufdek team by either specifying our Tufdek Waterproof Vinyl Decking products or applying to become an “Authorized Tufdek Dealer. To learn more about Tufdek Waterproof Vinyl Decking, contact us online or call Tuff Industries toll free at 1-877-860-9333.